Segment Description: Colleen Kelley, MD, associate professor of medicine, Emory School of Medicine, discusses the possibility of an HIV vaccine and current progress being made in HIV prevention. Colleen Kelley, MD: The possibility of an HIV vaccine and where we are in that progress is a little bit of a complicated question. When you’re thinking about an HIV vaccine in the context of traditional vaccines—like you get 1 or maybe sometimes 2 shots and you’re protected for the rest of your life—I think we’re still quite a way off on that. We’ve made tremendous progress in the HIV vaccinology field. 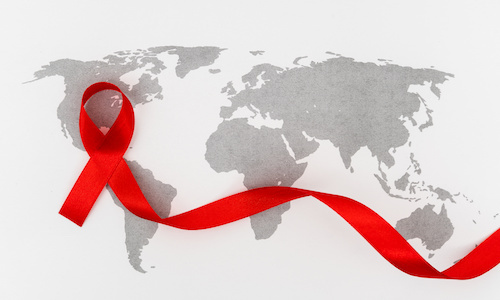 We know more about HIV and more about vaccinology because of the study and the quest for an HIV vaccine; the field has really made amazing strides. That said, we’re still a way off on an effective, traditional HIV vaccine, in the sense that folks think of it. That said, ground breaking work is being done with monoclonal antibodies as potential prevention mechanisms and those I think will be probably on the horizon a whole lot sooner and in clinical care a whole lot sooner than a traditional vaccine.